Do you need a another Cookbook??? Yes you do! Yesterday, I went to a really delightful luncheon here in Chicago. It was an impromptu event invitation that I am so grateful to have had the time to attend. In the last few weeks, I have had the fortune of discovering a new blog, In Jennie’s Kitchen and a new cookbook, Homemade with Love on Instagram. Blogging and cooking are both loves of mine! Cooking has been a longtime passion of mine…blogging and reading blogs is a new passion. 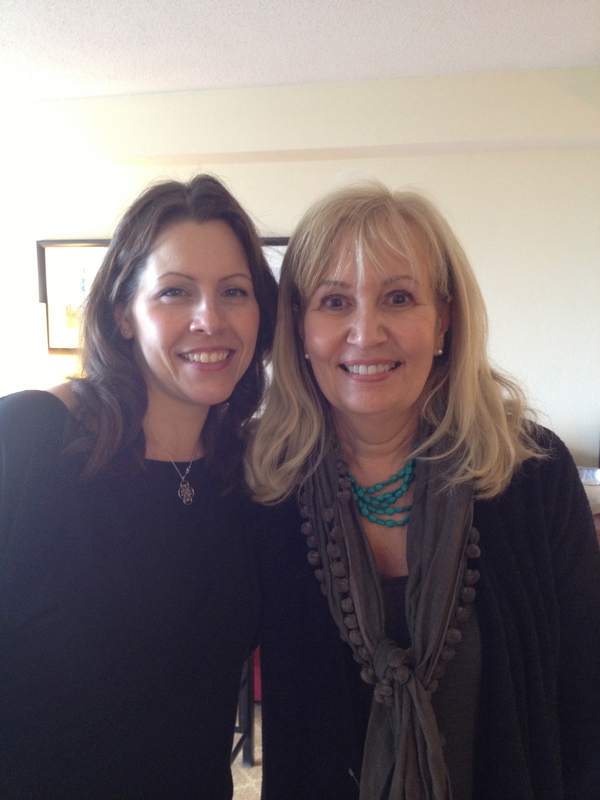 Now, I have had the good fortune of meeting the creator of Homemade with Love, Jennifer Perillo. I now realize that it was also fortunate for me that I missed her Chicago book signing, this past Sunday and that I am not afraid of twitter. To make a long story short, Jennifer extended an invitation to me to attend a very special small luncheon that she was preparing in her hotel here in Chicago. To say, I was thrilled is definitely an understatement. Among the invitees were some other bloggers, who are all much more recognizable than I…most were food bloggers, some were also writers, who represent various media and social media here in Chicago. A very nice mix of women and fun for me to meet, as my background is just so different, coming from nursing and social work. What better way to relax everyone and encourage conversation with each other than to casually serve a delicious made from scratch lunch. 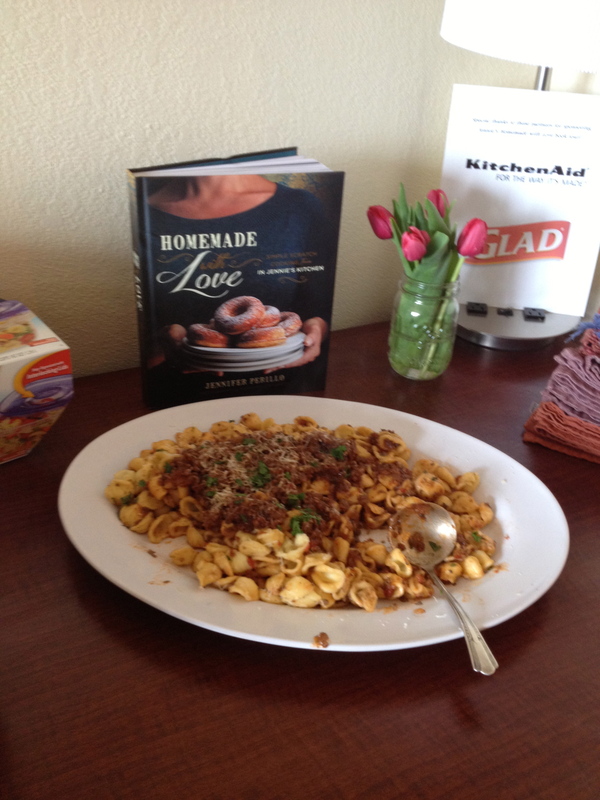 In the tiniest of working kitchen space Jennie created recipes from her new book Homemade with Love. Firstly, we had some wine, sparkling water, or still water served with a strawberry compote to add a little bit of sweetness to our drinks…very refreshing. Next we were treated to …. It was a lovely marriage of flavors and Jennifer’s ease with preparing and serving made it obvious to me that I could make her recipes at home, as you will be able to do too after you buy her wonderful cookbook. 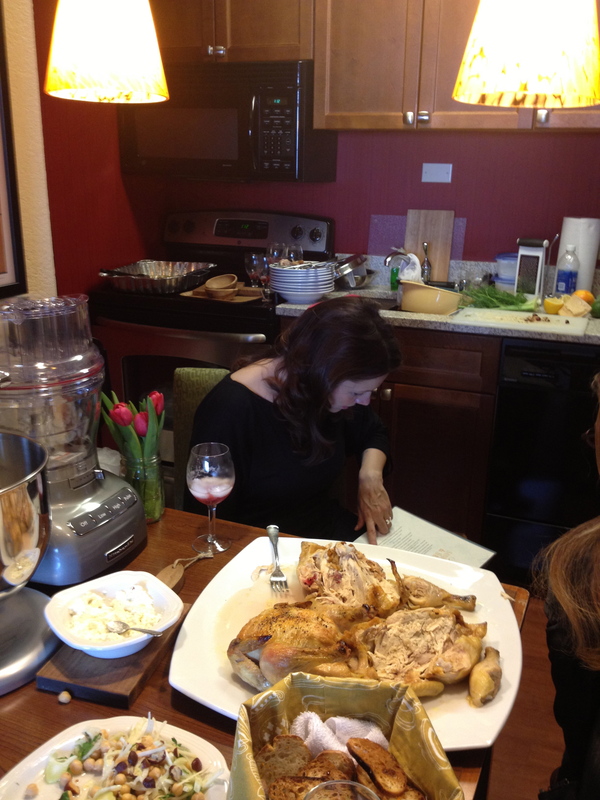 Jennifer also graciously signed copies of her cookbook for all of us. I am impressed with her book, its’ layout, beautiful photos and helpful tips. There are icons on every page to tell you about each recipe. I love her Chapter on “Setting Up a Homemade Kitchen” which is surprisingly easy! It helps that Jennifer is a warm and engaging mother of two, who understands what it is like to be thrown into single parenthood by the untimely death of her husband, Mikey. You can see her love for her kids and Mikey overflows into her passion for cooking. She has truly written a delightfully beautiful cookbook that you can use in your kitchen to make your own family meals Homemade With Love. Thank you also to Kitchen Aid and the makers of Glad, two companies who helped to make it possible for Jennifer to share her recipes and cookbook with us. This post was not sponsored. 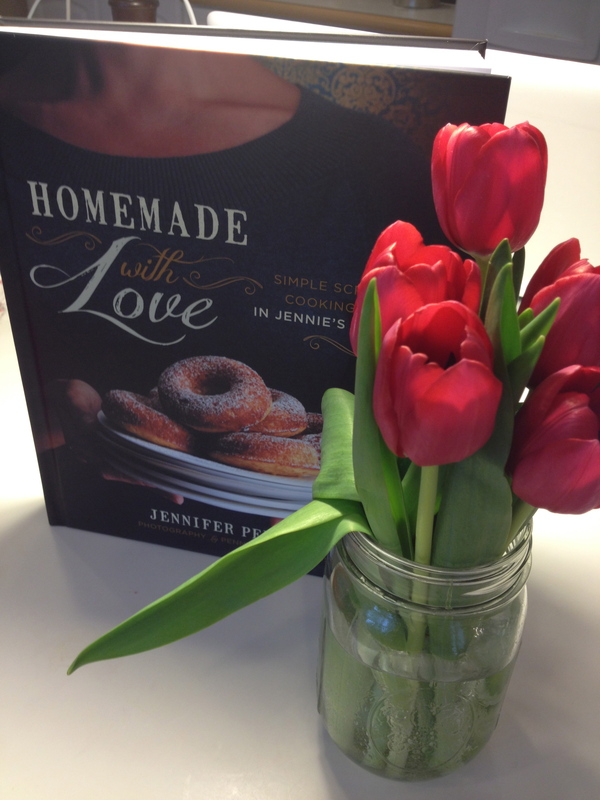 I did receive a copy of Homemade with Love from Jennifer. All opinions are my own. 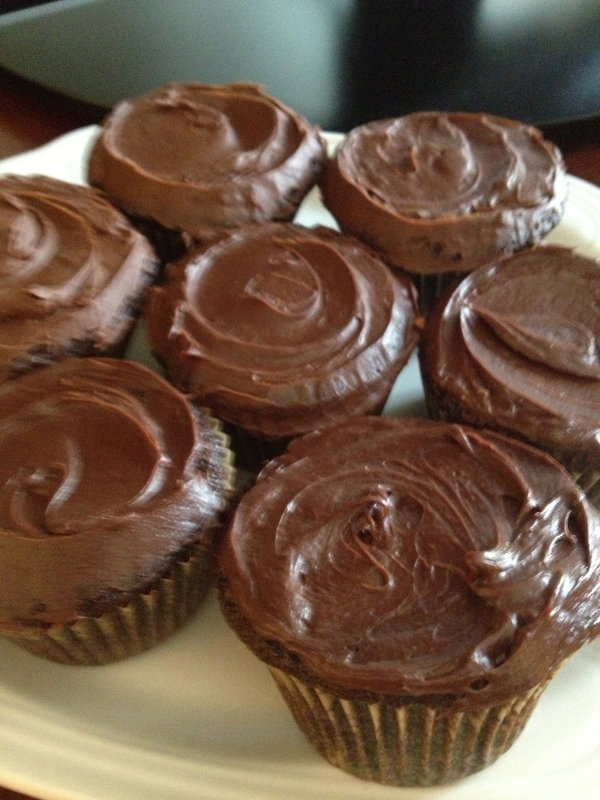 This entry was posted in Family, Feeding, Food, Parenting and tagged Homemade with Love, In Jennie's Kitchen, Jennifer Perillo, Simple Scratch Cooking by llpitlwp. Bookmark the permalink. I do not know you but I do know Jennie and I would refer those who see your comment here to Jennie’s own blog post about this accusation.http://www.injennieskitchen.com/2011/10/thank-you/. I will not publish anymore posts regarding this issue as it has nothing to do with my review of her book or my lunch with her.